1.25 and 1.5 mm Pitch Connectors, up to 60 pins. 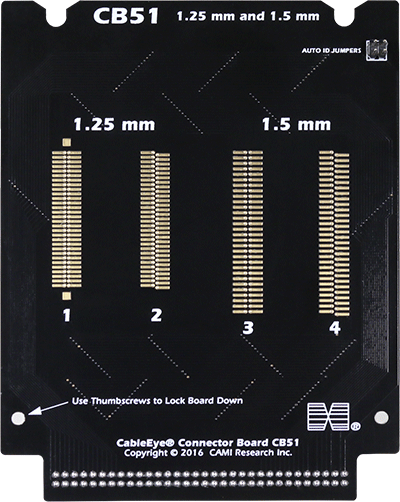 CB51 provides SMD and through hole connector footprints for small 1.25 and 1.5 mm pitch connectors. Connectors up to 60 pins can be soldered on the footprints. 2 options per pitch are offered, one for straight pins and another for staggered pins. The price does not include connectors, and each board ships as a bare board. If the customer provides the connectors, we will solder them into position and test the boards for a nominal charge; contact us for details. Set of two boards.